Flowers, candy, valentines, and valentine poems–it must be time to celebrate love! 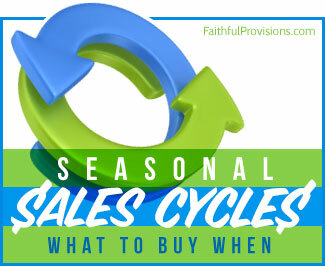 This is such a fun time of year–and you don’t even have to be part of a couple to enjoy it. Valentine’s Day can celebrate all kinds of love between friends, family members, and anyone you’re especially glad to have as part of your life. 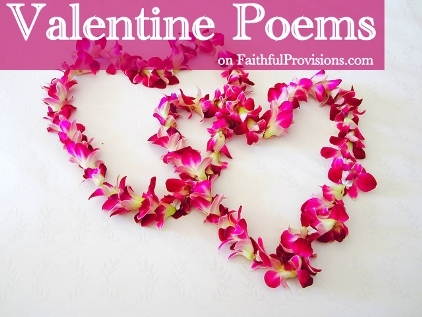 We’ve got lots of different valentine poems to share with you here on Faithful Provisions. Children will enjoy creating valentines and copying these valentine poems for kids into their own works of art. You’ll find valentine poems that kids can send to mom or dad, brother or sister, and their teachers. Also, we have a couple of special poems for those occasions that call for an extra special valentine poem. First, my heart was really touched by the valentine poem for a single parent. Kids don’t have to be very old to know that their single mom or dad might be feeling lonely on Valentine’s Day, right? And then we’re also offering a unique Valentine’s poem for a soldier. Wouldn’t it be fun to get a group of kids together to send some valentines to our troops? :: You’ll find all these and more Valentine Poems for Kids to send HERE. We also have a great collection of jokes and funny poems for Valentine’s Day for any relationship. Be sure to enjoy all the super cheesy knock-knock jokes we have collected! :: Get your funny on with these Valentine’s Day Jokes and Poems HERE. It wouldn’t be Valentine’s Day if we didn’t share some silly poems with you. In the middle of all the gushy, romantic frills (after all, around 10% of all engagements each year happen on Valentine’s Day), we’ve got to have some silliness and just plain old goofy fun! These poems really express that awkwardness of hoping the one you’re looking at is looking at you too. :: See our 6 Silly Poems for Valentine’s Day HERE. Are you ready for Valentine’s Day? Get everything you need for Valentines HERE on Faithful Provisions.